How Varadhakshinai came to practice? 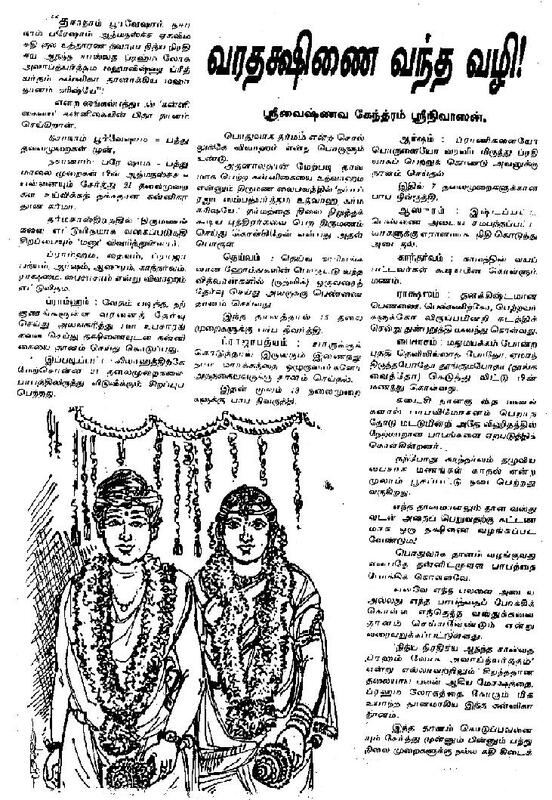 வரதக்ஷிணை வந்த வழி! We had bhagyam to have the Dharshan of Various places of Naimisaranyam on 12th September 2011. We covered the complete video including the way from Lucknow for the sake of yatris who wish to have dharshan in the future. I also attached the Great Upanyasam of Sri Sri Paranoor Mahatma Sri.Krishnapremi Swami to know about the sthala puranam of Sri Naimisaranyam. Also below I copied and pasted the details given in various vaishnavite websites about this Kshethram for having a complete knowledge about this Divya desam.